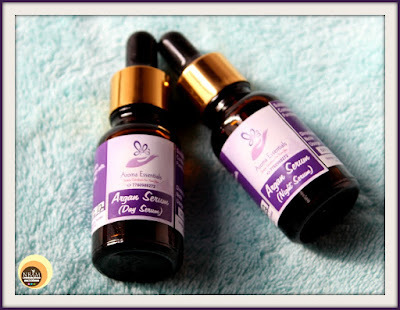 Aroma Essentials Argan Serums (both Day & Night) provide hydration to the skin. The other functions are- Increased nourishment, Brightening of the skin, and Acne prevention. They also help in strengthening skin cells. While other face creams contain only 5% to 10% of active ingredients, a face serum can contain up to 70%. Price & quantity: INR 410.00 for 20ml (Day Serum) & Rs. 510.00 for 20ml (Night Serum). Buy from here. Day Serum - Apply few drops on face and leave to soak. Use daily at daytime. 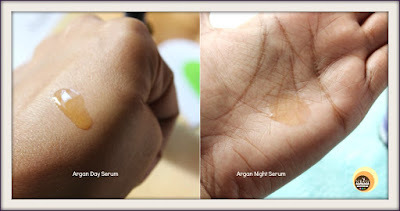 Night Serum - Apply few drops on face and leave to soak. Use only at night, daily. 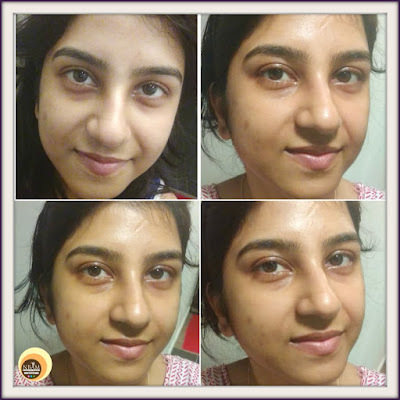 First and foremost, I must let you know that all of the Aroma Essential products I had received were only after a thorough consultation with the formulator Mrs Madhurima. She is knowledgeable and also approachable hence I felt pretty comfortable while discussing my skin concerns with her. It’s been three months I have been using these Argan serums so it’s perfect time to express my views on them! 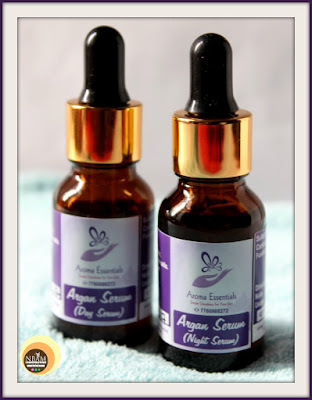 Aroma Essentials Argan Day Serum & Night Serum, both come in a small 20ml, amber glass bottle fitted with a golden coloured aluminium dropper cap. The dropper applicator helps in dispensing the right amount of product for each application. The product-related details are printed on a label attached to the bottle itself. I travelled with them only once when these were unopened but I feel these are not travel-friendly. 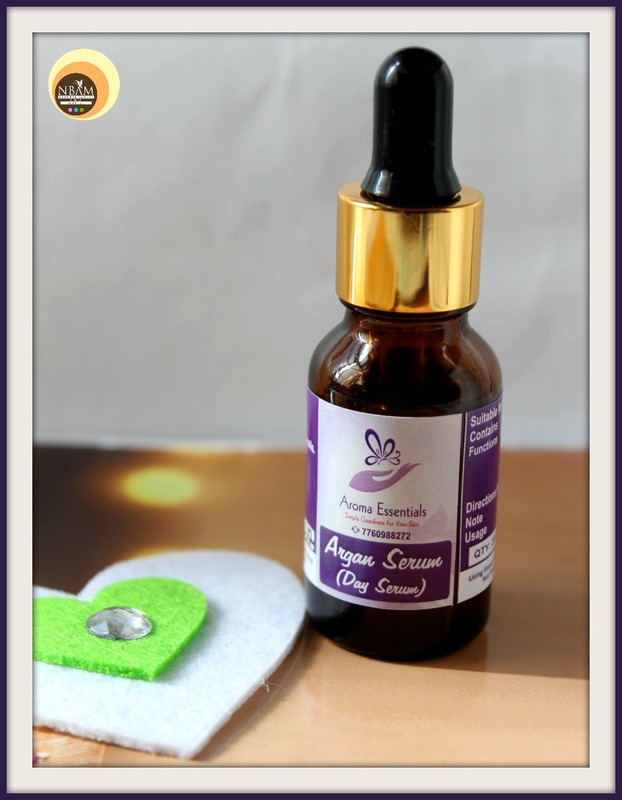 The Argan Day Serum is of light yellowish colour with a thin liquid consistency. It has a pleasant herbal aroma. Whereas Aroma Essentials Argan Night Serum is of transparent colour with a runny consistency and has a sweet, refreshing citrusy smell. Initially, I followed the brand’s instruction - apply a few drops of this serum on the face and leave to soak. But I wasn’t feeling comfortable that way, my skin felt greasy and it seemed I have applied way too much for my small facial shape. Therefore I decided to apply the serum in my usual way. Going by the serum/facial oil’s ‘less is more’ concept, I take the serum (2-3 drops for my entire face & neck) in the four fingers of my left hand (thumbs excluded), warm it up a bit and then I place the fingers of my both the hands directly on the skin, apply the serum using light push and press technique. Aroma Essentials Argan Day Serum and Night Serum are enriched with the goodness of essential oils which are amazing for our skin. Both of these facial serums are oil based yet feel lightweight on the skin. Though I feel the night serum feels a lot lighter than the day serum, they get absorbed into the skin pretty well. The absorption time solely depends on how much quantity you have applied on your skin! For me, it takes around 30 -40 secs but I do wait for 1-2 minutes before layering with another skincare product, in this case, a moisturizer. Once the serums get soaked in completely, skin feels soft, firm & nourished! With the continuous use of these facial serums, the result is quite visible. 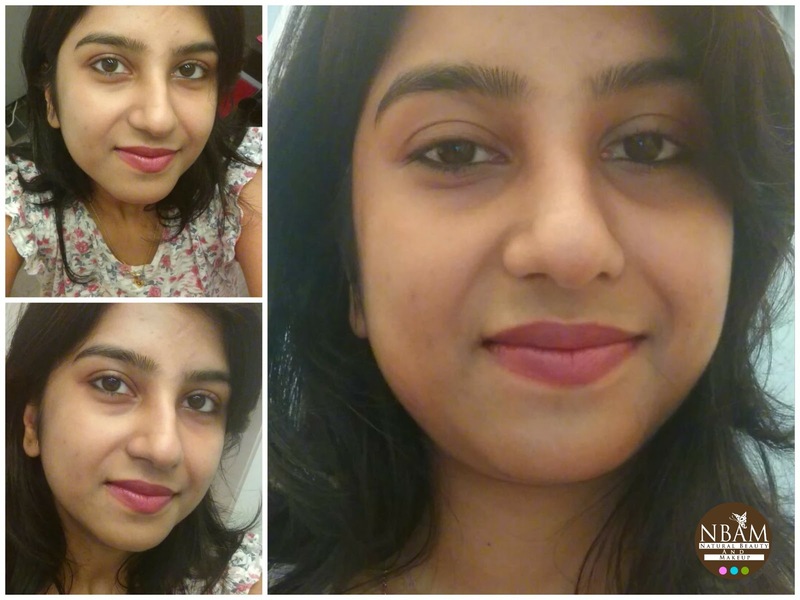 I can feel that my dull, dry complexion looks more radiant, smooth and youthful with improved skin texture. The best part is even if you forget to slather moisturizer after using the serums; these alone would keep your skin hydrated for a long time. They do not leave an oily sticky film over the face, unlike other hydrating serums. 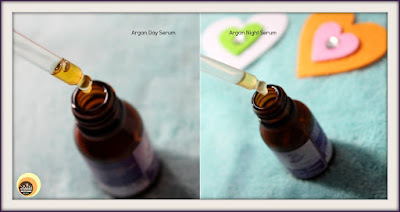 If your skin is super dry and you want to make your skin look dewy from within, I would highly suggest applying this Argan Day Serum before putting on makeup. If you spend maximum time in AC environment or live in cold regions, then all you need is this hydrating day serum. However, if you have an oily skin then you might not like this day serum that much. Since the weather here is now pretty warm & humid, I noticed, at times, it makes my skin oily within a few hours especially when I’m not at home. 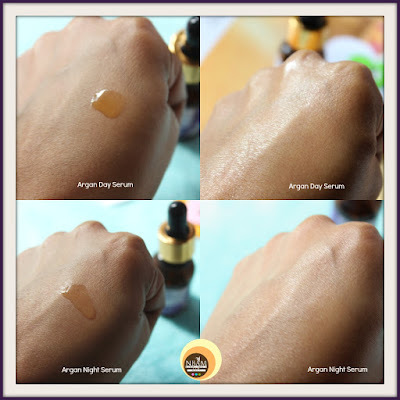 On the contrary, Argan Night Serum is apt for all skin types and seasons. It is quick-absorbent, hydrating yet super lightweight- just perfect facial serum! NB: Top LHS pic was taken during winter, rest 3 pics are recent but taken after 4-5hrs of application. No Makeup/MOBILE PHOTOGRAPHY. SORRY FOR MY WEIRD PICTURES 😐 TRIED MY BEST TO SHOW YOU THE RESULTS. But Do These Serums Reduce Acne Scars? In my case, sadly NO! 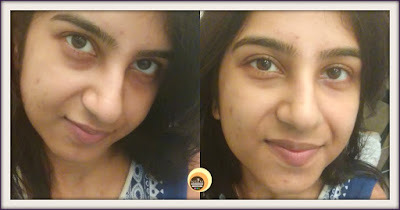 They definitely add hydration & glow to the skin but do not help much in fading the fresh acne scars; in fact, take a lot of time to heal the old marks. Nevertheless, they didn’t break out my skin and do not clog pores hence are fully non-comedogenic products. Take a lot of time to heal acne scars! 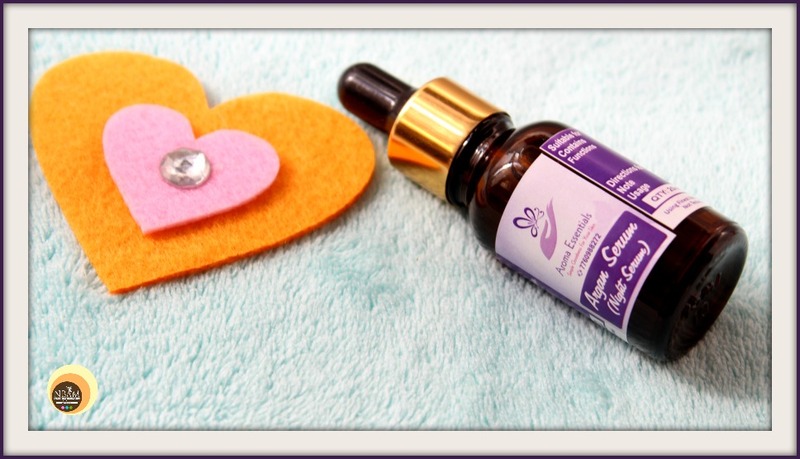 On a hot & humid day, the day serum may make your skin oily within a couple of hours! 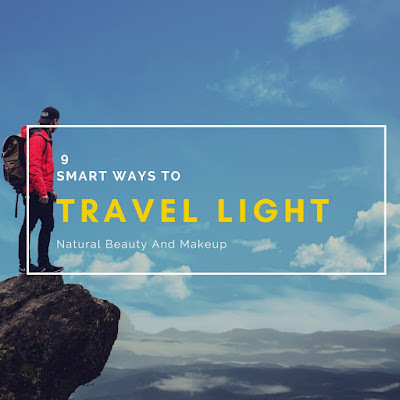 Working women or Travellers blessed with Oily Skin might not find this great. In short, Aroma Essentials Argan Day Serum & Night Serum, both are EXCELLENT facial serums for the dull, dehydrated and damaged skin😍. They provide my skin with a long-lasting firming & smoothening effect post each use which my dull skin was craving for! Within this short span of time, my skin has improved tremendously. In spite of containing magical acne scar reducing properties, the magic didn’t work for me. Otherwise, I would have hailed them as my Holy Grail products! Day Serum - Normal to combination, sensitive & dry skin! Night Serum - All skin types! My apologies for this lengthy post 😜. Hope you find the review helpful 😊. Have You Ever Tried Aroma Essentials Argan Day Serum & Argan Night Serum? If Yes, Please Share With Us In The Comment Section Below. I prefer using any serums that is oil based at night only. Loved the legnthy review.. Thank you so much, Sonali :) Yes, night serum will be best for you! 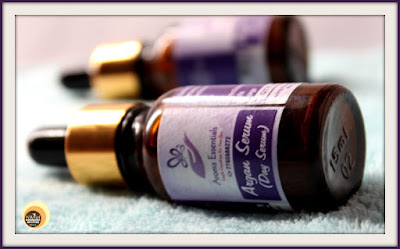 Argan Oil seemingly is the beauty mantra hailed by many these days. Pretty much decency when these products are a concern, am wondering if they will do a good job for my forever sweating crazily skin. I'm an avid fan of Argan oil, I can't leave my hair without using it. I can't believe it's use for the face too, nice to see the review here in your blog dear.